That's right, the same power connector you might use with your phone or laptop—in our one-cable future. The future is almost, pretty-much here. I’m talking about the “one-cable” utopia, where everything you own is connected by USB-C and you can hide your big box of miscellaneous, archaic cables in a dark corner of the closet. Farewell, MicroUSB. Sayonara, HDMI. Get lost, DisplayPort. As always, with this type of technological sea change comes a wave of companies throwing around terms like “World’s First!” and “Never Before Seen!” Especially at trade shows like CES. Which is to say that on Monday, Acer unveiled its new H7 line of monitors, “...The world’s first to support USB Type-C, so that users can conveniently transfer data and display content from notebooks or smartphones, while charging them at the same time through just one cable.” Of course, the H7 monitors also sport HDMI, DisplayPort, regular ol’ USB Type-A, and a bunch of other ports. We haven’t quite reached the one-cable future. Okay, maybe we’re not down to one port quite yet. The reversible USB-C connector is becoming more and more ubiquitous, and promises to do everything from powering your laptops and phones to connecting your displays. The H7 is a sign of what’s to come, as an early USB-C adopter. Claims of World’s-Firstness aside, the H7 line looks damn ostentatious with its minimal bezel and brushed-gold casing. 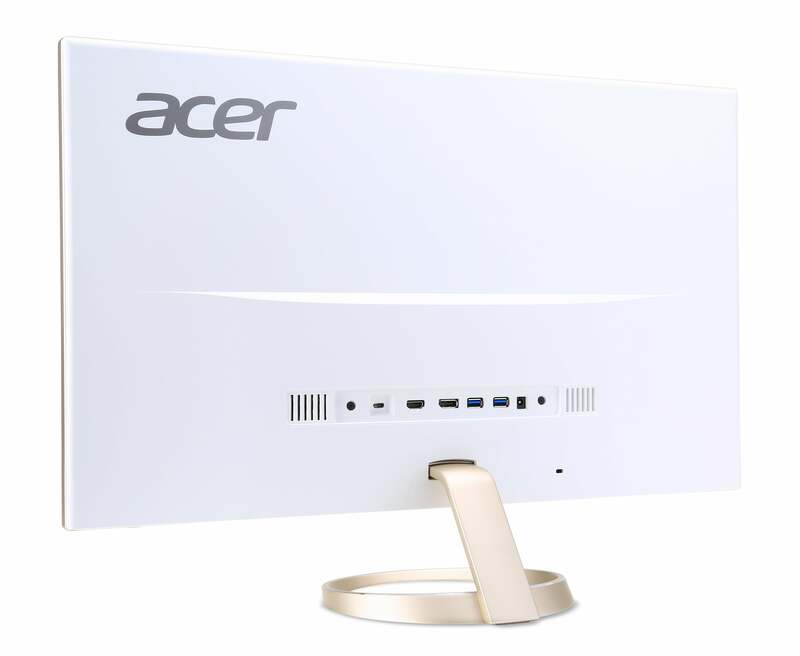 Size is a bit limited, with only two variants—25-inch and 27-inch. 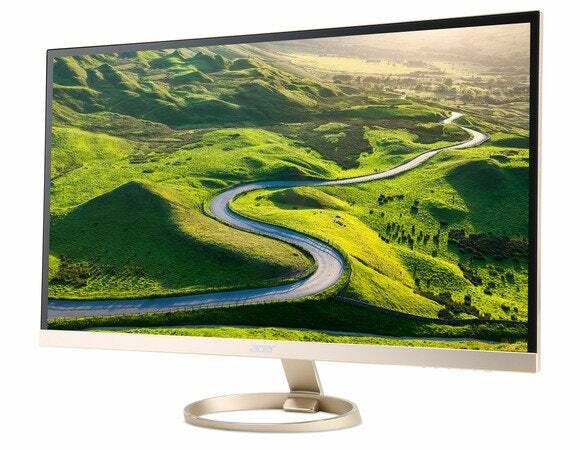 Each boasts a 2560x1440 IPS display that “supports 100 percent of the sRGB color gamut.” And though I’d never recommend using built-in monitor speakers, the H7 line does come with “Acer TrueHarmony and DTS sound” for those who want to spend hundreds of dollars on a display and zero dollars on speakers. Or maybe you just ran out of money for speakers. The H7 line releases in February and starts at a premium $500 list price, so you’d better start scraping together those pennies if you want a head start on the future.